Shannon Barnett, Director of KWRL Transportation Cooperative, is tasked with keeping 100 school buses and drivers, all spread across four school districts, on schedule and on route. He's focused on ensuring the efficiency, safety, and compliance of the fleet, which is the largest transportation group in Washington. Barnett's ultimate goal is to make the jobs easier for his hard-working drivers, so the team can collectively operate more efficiently. KWRL was formed to build efficiencies of scale across four rural school districts in Southwestern Washington. It transports 4,000 students a day, and it’s growing quickly. In fact, one of the districts is set to grow from 2,000 to 8,000 students by 2025. Barnett is always looking for ways to make his driver's work easier and the operation more efficient. Since his drivers cover such wide areas, it’s easy for them to make a wrong turn and get lost. Barnett is always on call to help if they get lost or have an issue. The team also wired in bus stop paddles and emergency lights via the VG33’s two auxiliary inputs. When they opened the Samsara Dashboard the difference was night and day. If drivers make a wrong turn or need help, Barnett just opens the Samsara Dashboard and sees the bus live on the map. He sees exactly where the bus is, where it’s going, and can talk the driver back onto main roads. The KWRL team also runs weekend trips transporting students to sports games, and if those buses have issues Barnett simply opens the Samsara App from anywhere. He no longer returns to the office on weekends or radios back and forth "Where are you now?" with drivers. With such a large fleet, Barnett frequently gets calls about check engine lights. He’s set up Samsara Alerts so he’s instantly notified of vehicle fault codes. He coordinates with his mechanic to determine the fault severity and can make the decision to let the bus continue or be serviced. 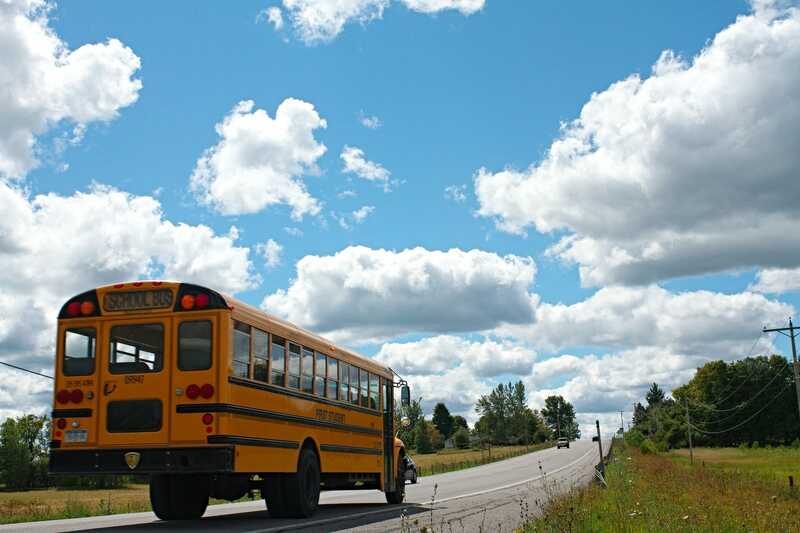 When transporting students, safety, accountability, and transparency are critical. Because of this, Barnett needed accurate historical data in addition to real-time visibility. His team connected the stop paddle and emergency lights so they can map when buses stop along their routes, all time-stamped and stored in the Samsara Cloud. Barnett is now sharing the real-time location of buses with parents using Samsara's Fleet Viewer. In a region with such cold winters and extreme geography, everyone wants to minimize the time students spend standing waiting for the bus, and with the Fleet Viewer parents can ensure their kids get to the bus right on time. It's something KWRL's parents and superintendents have always wanted, and now Barnett is adding it right in their existing parent portal. "Samsara was the only company flexible enough to network their product with our existing district operations systems to streamline operations." 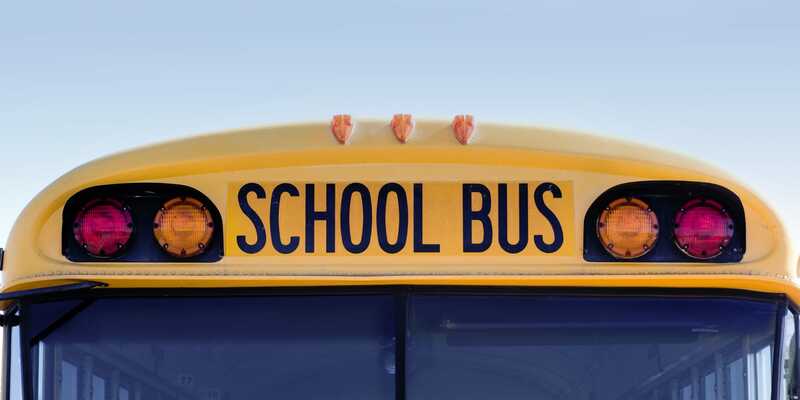 On top of his daily responsibilities, Barnett and his team are charged with purchasing new buses and planning new routes as the school districts grow. With the Route Analytics Report, Barnett sees which routes frequently run slower or faster than planned, then communicates this to drivers and parents. 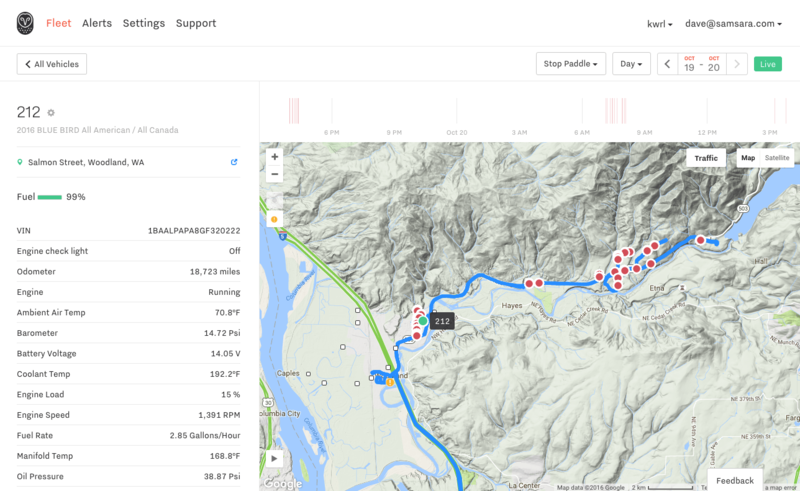 He uses the data to modify and build new routes, as well as plan for new vehicle purchasing.